Scores of Bomi Citizen under the banner “Operations Save Bomi” has initiated a resolution seeking the impeachment of Bomi Senator Sando Johnson on counts of Economic Sabotage, Embezzlement of Public funds and Abuse of Power. The Citizens many of whom are members of the Consortium of Workers Union of the County, Economic Freedom Fighter (EFFL) and the Western Region Youth Network says the impeachment of Senator Sando Johnson will restore economic sanity and political salvation to the county and its people. Addressing newsmen at the weekend in District one Bomi County the group’s chairman Clifton Hilton said Senator Johnson involvement into a leaked audio recording asking for bribe from a Liberian businessman has also brought what he called a total embarrassment to the people of Bomi. He added that the people of Bomi have resolved to impeach Senator Johnson for marketing the integrity of the county in the national corridor of the country. According to him, little over two thousand signatures have been solicited in the county while promising to shortly assemble at the National Legislature with their petition. 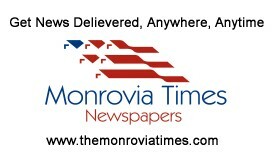 In support of the group’s allegation, The Monrovia Times has received a leaked audio recording linking a man believed to be Senator Sando Johnson into a suspicious conversation with a businessman identified as James Cooper. The recording also exposed the Bomi Senator of justifying why he is the rightful person to embezzle the fund in question thus boasting of being a good PR. Meanwhile, when contacted the Bomi County Senator Sando Johnson over plans seeking his impeachment by Citizens of the County indicated that he is not moved by the actions of the group. According to him, an allegation of Economic Sabotage and Embezzlement of Public funds against him are false and baseless. “No amount of pocket advocacy will thwart the confidence the people of Bomi has reposed in him as a Senator.” He said. Commenting on the leaked audio recording in the possession of The Monrovia Times Senator Johnson asserted that he will not make any further comment on the matter as it is currently before the court.